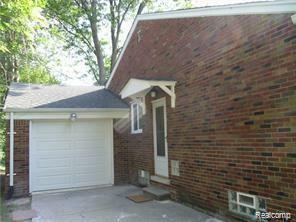 THIS IS A BEAUTIFUL 3 BEDROOM BRICK HOME READY FOR YOU TO MOVE IN. THE FRONT STEPS ARE BEING REPLACED NEXT WEEK. 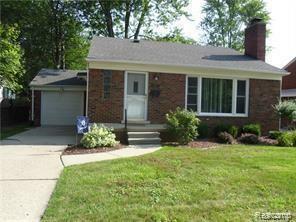 PROPERTY IS LOCATED IN THE WELL KEPT NEIGHBORHOOD OF HARPER WOODS. THE BEDROOMS WERE FRESHLY PAINTED IN AUGUST 2018. THERE ARE HARD WOOD FLOORS UNDER THE CARPET. NEW KITCHEN IN 2015, NEW BATH IN 2018. NEW FRENCH DRAIN SYSTEM WILL BE INSTALLED, WEATHER PERMIT, NEXT WEEK. THE STOVE, REFRIGERATOR, WASHER AND DRYER STAYS. 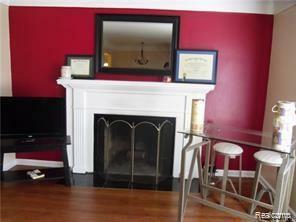 MIRROR OVER THE FIREPLACE STAYS. FENCED IN BACK YARD. 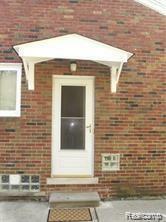 Listing courtesy of First Millennium Real Estate.